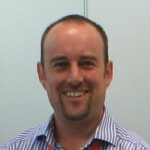 Dr Alex Elliot is the Project Lead for the PHE Real-time Syndromic Surveillance Team. After gaining a PhD in influenza virology at the PHLS Central Public Health Laboratory in 2001, Alex undertook a postdoctoral position at the MRC National Institute for Medical Research, Mill Hill, London, investigating the molecular characteristics of the 1918 influenza pandemic virus using archived post mortem samples from 1918, and tissue samples from exhumed 1918 victims. Following this, Alex took a post at the Royal College of General Practitioner (RCGP) Research and Surveillance Centre in Birmingham as Primary Care Scientist. This post was jointly funded by the HPA and developed strong links between the RCGP and the HPA Real-time Syndromic Surveillance Team. Alex was appointed as the Project Lead for the Real-time Syndromic Surveillance Team in 2008, and with Dr Gillian Smith (Consultant Epidemiologist for the team), has since expanded and developed the team to deliver a World leading syndromic surveillance service, providing vital national surveillance support during pandemics, floods, volcanic ash clouds and Olympic Games! Alex is committed to further strengthening the utility of syndromic surveillance within PHE, exploring innovative sources of health surveillance data and working with public health colleagues across the World to explore the usefulness of syndromic surveillance in responding to public health incidents and mass gatherings.